DVD copy protection is a broad term that covers various methods of copy protection for DVDs. These methods include DRM, CD/DVD-checks, Dummy Files, over-sizing and over-burning the DVDs, illegal table of contents, physical errors or bad sectors. If you search for DVD copy protection software online, you’ll get millions of results. Bluntly speaking, though DVD copy protection software is developing at a fast pace, there are lots of tools that are poorly designed and that are doing badly. To help you avoid getting caught in such a tool’s web, we gathered five great programs for DVD copy protection that really work as advertised. What are the best DVD copy protection tools? 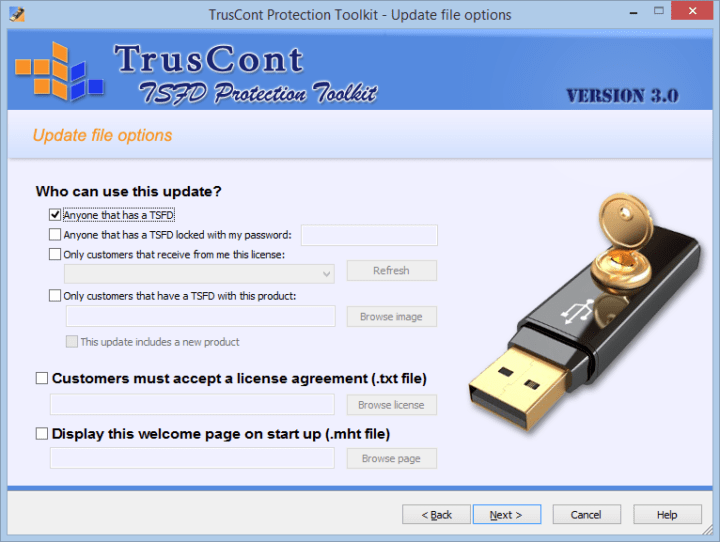 TrustCont DVD Copy Protection offers complete resistance to 1:1 duplication and cloning, virtual drives and emulators, bit-2-bit copying and more known hacking, copying and cracking methods used these days. Its unprecedented performance and efficiency make this software fully transparent for end users. The vast range of security features provides access control, limit use time, limit number of hosts and more. You can apply strong anti-copy, anti-debug, code obfuscation and encryption for native code EXE, .NET programs, and WPF apps. The silent protection is transparent to users. To use this software, you don’t require any programming skills. You can copy protect almost any data type including PDF docs, video, images, audio, HTML pages web pages and more. The outstanding protection technology locks the data efficiently. It provides 100% copy protection. You have the ability to limit the use of a disc to a pre-defined number of computers. TrustCont DVD Copy Protection allows you to protect your files on standard DVDs and CDs using the alternative activation feature. Your customers will be able to make copies of the files or discs but they will only be usable on the pre-defined computers. Download TrustCont DVD Copy Protection from its official website. Webtoolmaster helps you protect your DVDs against illegal copy, and you will be able to make more profit with less illegal copies. The program allows you to create your own copy protection for your music, images, videos, photos or data DVDs. The copy protection system is easy to use, and it provides reliable copyright protection. The software makes sure that the data from your DVD or CD cannot be copied onto another. It provides effective protection to leverage your business and increase your profits. It also includes a USB Flash Drive Copy Protection tool that offers one of the best USB security solutions that will help users have complete control over copy protection. The tool is updated to meet the changing needs of the market. This software protects the integrity of your digital content, and it also maintains compatibility. Webtoolmaste software is a tool that includes lots of protection features to make sure that your data stays safe. You will get more anti-virus protection with the program, and this makes it a sort of an anti-virus complement. Download Webtoolmaster from its official website. DVD Copy Protect is a really useful program that allows you to protect your DVD media. This is done via the form of a copy protection app that enables users to have professional grade protection applied to their media files. The program is quick and easy to install. It features a wide range of menu navigation options appropriate for all types of users. Both novice and professional users will benefit from the application. It allows you to also clone existing DVDs without any loss in video and sound quality. This software is intended to be used to protect your DVDs from being copied by pirates. No one will be able to use the data that is stored on your DVD without permission. This program supports both PAL and NTSC DVD movie formats, and you will be able to use it will all form of DVD and CD burners. The entire DVD is able to be copy protected, and this includes language options, subtitles, special features, and all the menus as well. Download the software from its official website. Protect Software develops leading copy protection and also license control solutions for programs, videos and virtually any content since 1996. The company has been securing the valuable properties of its large and small clients as well. With ProtectBURN Video you can copy protect your video DVDs against illegal copies and sharing, to increase your sales. It is easy to apply and very efficient. The program is compatible with virtually all DVD-players. ProtectBURN Video protects against 1:1 sector copies. You can create protected DVDs without authoring changes. 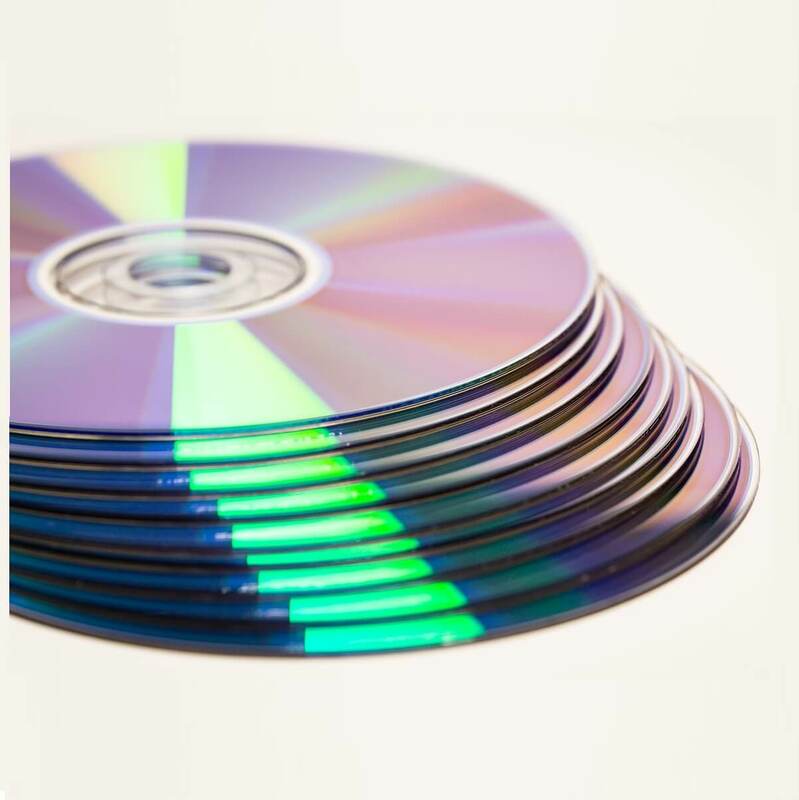 You will be able to burn/write DVDs using most standard software and burners including robotics system/duplicators such as Epson, Primera or Rimage. ProtectBURN Video is extremely easy to use, and you also have the ability to check out the free trial. This software is used by fours of the leading Hollywood studios, and ProtectBURN Video protects Oscar-nominated titles and screener distribution of pre-release movies, so you should definitely give this one a try as well. PretectBURN Video can be downloaded from its official website. Adding copy protection technologies to optical discs is the only active measure against piracy. StarForce provides a reliable disc protection solution that is invisible to end-users but also becomes an unbreakable barrier for potential hackers. User experience is really important, and it’s great that the end user doesn’t know about the built-in StarForce protection as long as this user will use the disc in a legit way. StarForce protects the files by specially encrypting them. There’s a key for decryption located on a DVD. The protected files can be opened only if the original disc with the key is inserted into the computer. The protection system matches the disc key entered by the user to the physical parameters of the protected disc. After the disc is activated, the protection system authenticates the disc automatically, and the user doesn’t need to do anything else. The costs include a license for 12 months and a fee for DVD quantity. StarForce protection is based on binding to an optical disc which features unique characteristics that cannot be falsified. The software is available to download from its official website. Despite the widespread use of digital sales online, DVDs are still popular these days because a DVD is one of the cheapest ways to distribute electronic information in some regions where Internet has poor penetration for instance. It’s also useful if you want to have a binding to the media instead of the user’s device. So, DVDs and CDs won’t go out of fashion too quickly. On a DVD, you can record anything, any type of data but DVDs can also be bought anywhere, and it’s easy for anyone to copy info from one disc and spread it without the copyright holder’s knowledge. That’s why copy protection software is so necessary these days. Check out all the five tools that we have detailed above, and pick the one that seems to fit your needs best.